It's the highest ranking fast food restaurant in the U.S. for customer satisfaction, according to the American Customer Satisfaction Index Restaurant Report 2015. The chicken restaurant was the subject of controversy and protests a few years ago after its CEO made remarks that offended the LGBT community. But that hasn't stopped fans from flocking to its restaurants, and giving it high marks for customer experience. "It is laser focused on a particular product," said Forrest Morgeson, director of research at ACSI. "It focuses on one thing and does it exceptionally well ... and that is chicken sandwiches." This is Chick-fil-A's debut on the list and its score is the highest ever achieved in the category. Chipotle (CMG) Mexican Grill also made its introduction in this year's survey, and took home second place. Fast-food hamburger chains seem to be losing some luster with McDonald's (MCD), Burger King (BKW) and Wendy's (WEN) all experiencing a drop in customer satisfaction from 2014. McDonald's came in last place of all fast food restaurants. "All those companies down at bottom [of the list] have been around for a very long time, they just aren't as fresh any more in the mind of the consumer, just not exciting," said Morgeson. Consumers are also increasingly becoming more dissatisfied with pizza chains, according to the study. Little Caesars, Domino's (DPZ), Papa John's (PZZA) and Pizza Hut (YUM) all suffered a 5% or more drop in satisfaction. In the battle of the coffee giants, Dunkin' Donuts (DNKN) came out ahead of Starbucks. Dunkin' Donuts' customer satisfaction increased 4%, while Starbucks (SBUX) experienced a 3% drop. "They are expanding into new markets ... reaching new consumers" Morgeson said about Dunkin Donuts. "They have freshened up their brand a little bit and improved their perception of quality and are still price competitive." 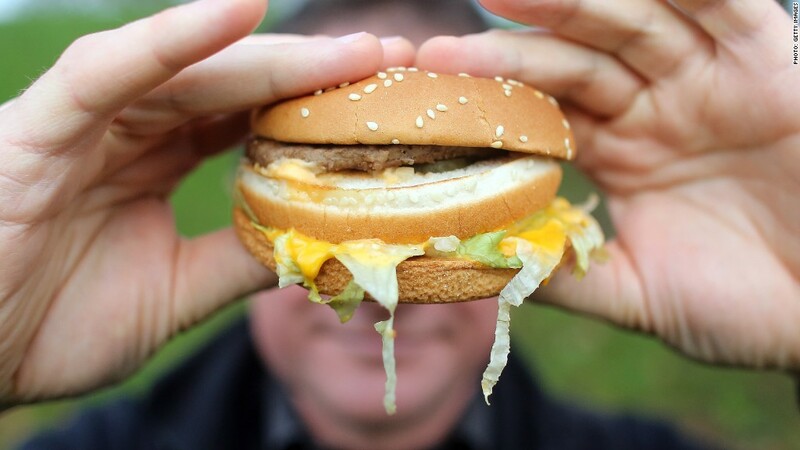 Customer satisfaction in the fast food industry took a step back last year. The average score among fast food companies is down nearly 4% from 2014. Courtesy of staff, speed of checkout or delivery, food quality and order accuracy worsened this year compared to last year. While satisfaction with the restaurant industry has waned, the survey found Americans still eat out an average of four times a week. The American Customer Satisfaction Index included responses from more than 5,000 individuals and ranked the food established from a scale of 1 to 100.